Our compact Artnet to Radio DMX Gateway allows users to control radio DMX lighting via any controller that has an Ethernet port and broadcasts Artnet – typically an iPad, a laptop or a lighting desk, etc. 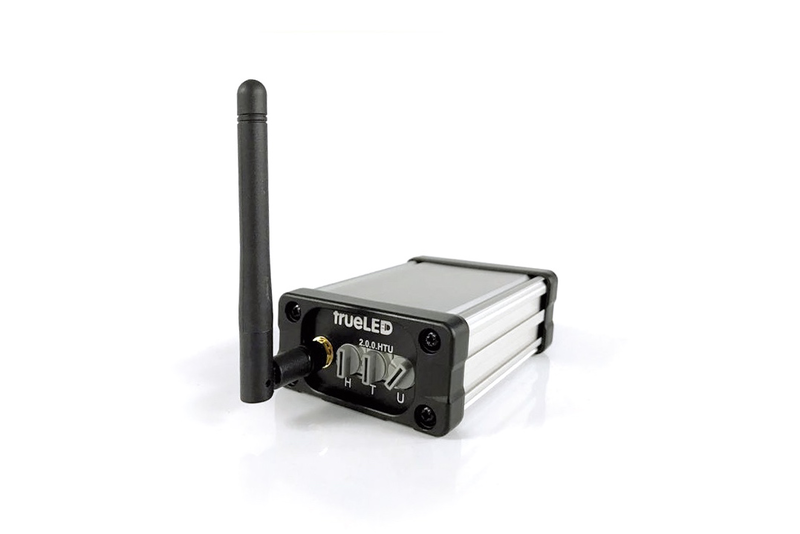 Radio DMX protocol is the most dynamic option, and using the excellent Lumen Radio technology it allows the device to jump around and find gaps to give reliable real-time responsiveness. 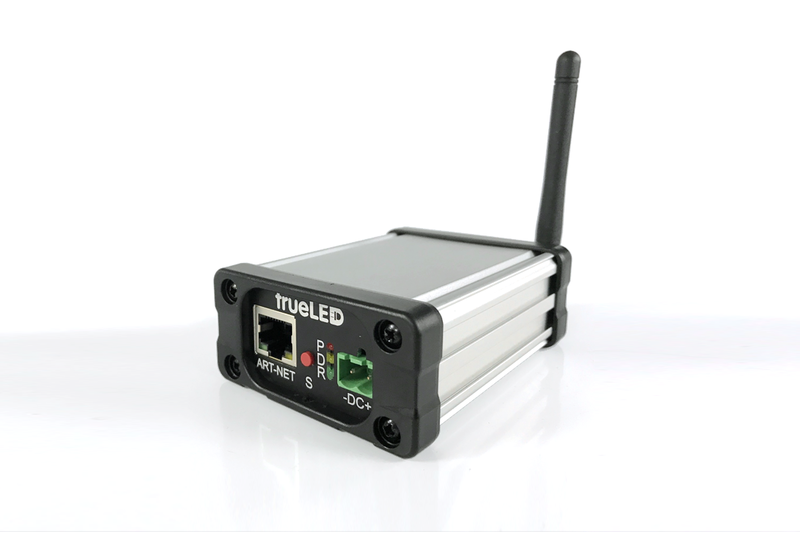 This smart gateway connects the controller to ethernet and provides radio DMX. This is particularly suited to heavy radio environment with busy airwaves, such as a film set. With real-time applications, wifi can suffer from interference so systems that control lighting directly from Artnet sources like the iPad can be unreliable. Indeed, the product was designed in response to customer demand and frustrations with existing options.